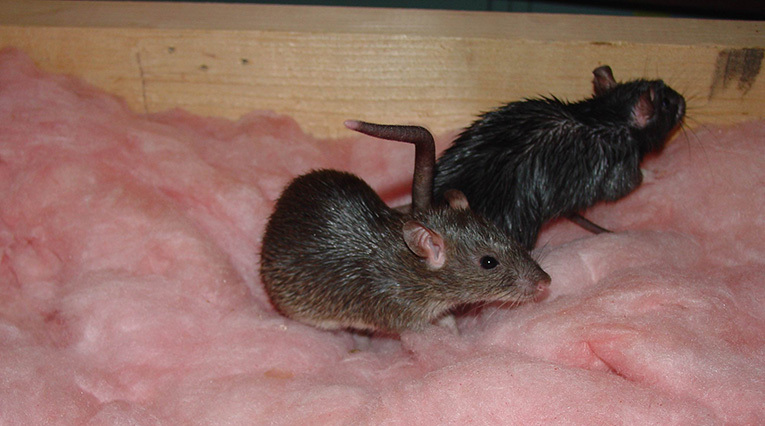 Rats, squirrels, and other small rodents are very clever animals. They are incredibly skilled climbers and can chew through wood and other soft materials. They also have the amazing ability to contort their bodies in such a way that they can fit into a hole as small as a quarter. With their maneuverability and quickness, these small creatures have very little trouble finding their way into the basements and attics of homeowners. But don’t let their small size fool you. These animals can be very destructive and cause plenty of headaches. While it’s possible to remove these animals, it’s always best to never have to deal with them at all. This requires that you take some preventative measures to make sure your house is animal proof from top to bottom. Below is a list of things you can do to help keep rodents out of your home. Fill in every crack, gap, and hole that leads inside your home. Keep the branches of trees away from your house. Clear your yard of debris, such as leaves and brush piles. Make sure your garage or shed is completely closed off from the outside. Store leftover food in tightly sealed containers. Keep your garbage cans sealed and safely stored away. Keep your basement free from moister. Do not store belongings in cardboard boxes. By following these suggestions, you’ll be much more likely to not have to deal with rodents infesting your home. But if one does manage to crawl its way in, you’ll know who to call. Attic Kings Animal Removal & Attic Cleaning is the best wildlife removal company in Snellville, Lawrenceville, and Duluth, Georgia. We’ll get your problem animals out of your hair fast and make sure they can’t get back in. Plus, we’ll even decontaminate the infested area so that it’s safe and ready for use.